Sylvia Laloo was born in Belgium. 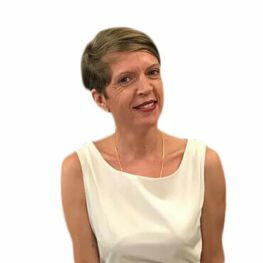 She has taught English for close to twenty years in Europe, Africa and Asia to different age groups and different levels. She currently teaches Intermediate 1. All those years she has retained the same strong enthusiasm and passion for teaching English. She loves engaging students and giving them the opportunity to participate as much as possible to be active learners of English. 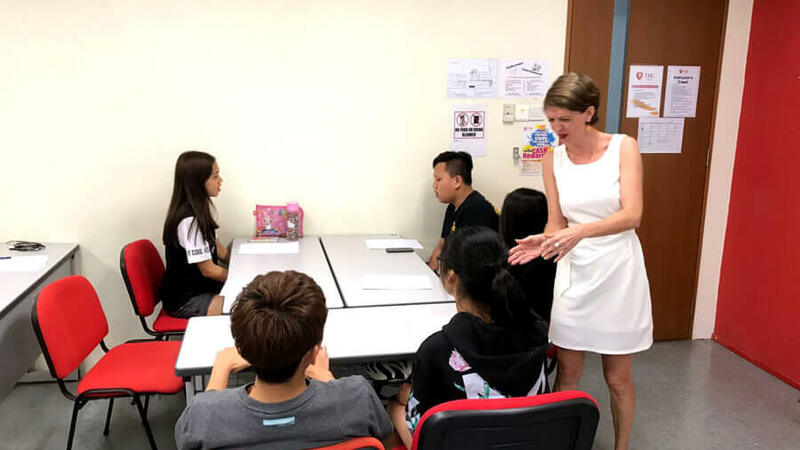 Making them see the clear logic of English grammar, getting them to enjoy learning English, and making them feel comfortable when speaking English are her priorities. This class is very satisfying. Every day is fun. Sylvia teaches not too fast, not too slow, just the right speed. I can understand the class. Sylvia’s class is very interesting. Miss Sylvia is an elegant teacher. I’m interested in Sylvia’s class. In the class we have a lot of activities. It’s good! Sylvia’s classes make me very comfortable. Her classes have lots of interesting games and activities. These activities help me improve my English and make me interested in English. I love my class very much because my friend and teacher Sylvia is very friendly. Teacher Sylvia makes me understand English grammar. The important thing is teacher Sylvia is the only teacher in my life who has made me understand English. I think teacher Sylvia is very active and kind. I’m happy to learn so much. Thank you for making me really happy. I like this class because teacher Sylvia is very kind and not boring. I like Sylvia because she teaches very well; I understand the English language. I have fun while learning, I’m never bored. I love Sylvia. Sylvia is very kind. She teaches me a lot. I like this class. I can speak English without being shy. Sylvia teacher taught me a lot of grammar and words. She also taught me how to write a letter and pronunciation. Sylvia is a good teacher. We can ask her any question.